Indian Premier League franchise Mumbai Indians’ owner Mukesh Ambani has topped Forbes’ list of Richest Sports Team Owners 2019. Indian business tycoon Mukesh Ambani, who is also Asia’s richest person, achieved the top spot in the list with a net worth of 50 billion dollars. 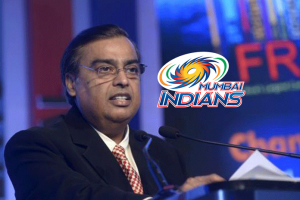 Ambani had purchased stake in IPL team Mumbai Indians in 2008 through a Reliance subsidiary. Steve Ballmer, former Microsoft CEO who bought American basketball team Los Angeles Clippers for 2 billion dollars, follows Ambani on the second spot in the list. Ballmer is followed by Dietrich Mateschitz on the third spot, founder of Red Bull energy drink. Nature of Business: Microsoft, Software and IT. Nature of Business: Red Bulal, Self Made.